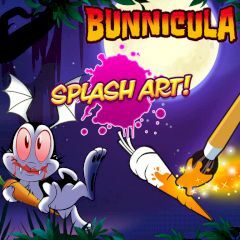 Enjoy art with Bunnicula and help him to color pictures or make some spooky drawings. Games Similar Bunnicula Splash Art! Play Dorothy and the Wizard of Oz Splash Art! Dorothy and the Wizard of Oz Splash Art!